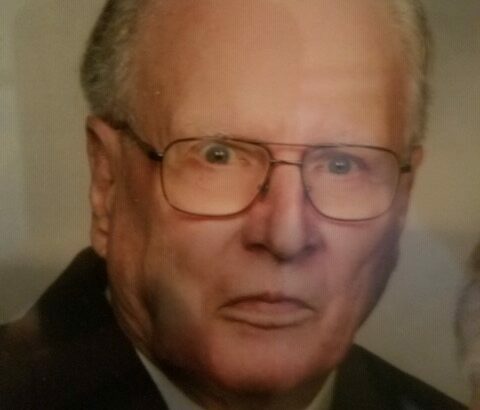 Morton R. “Mort” Gentz, 95, Appleton, formerly of Gillett, passed away Friday, March 22, 2019 at home. His family was at his side. Mort was born November 30, 1923 to the late Julius and Kathryn (Weidner) Gentz at Bowler, WI. He graduated from Bowler High School in 1941. On June 14th, 1944, he married the love of his life Lorraine Hoefs at Zion Lutheran Church in Zachow, WI. He was a proud WWII Veteran, serving his country in the U.S. Air Force as an aerial front nose gunner on B-24 Bombers in the Pacific Theater of War. Following his military service, he and Lorraine worked for Red Owl Stores. They owned and operated Gentz’s Flowers and Greenhouses in Gillett retiring in 1978. They went on to spend 22 years at Finnegan Lake, building a home and caring for flowers, trees and multiple vegetable gardens. In 2000, they moved to apartment living. Mort was active in volunteering for Boy Scouts, Northern Gardeners, Revitalize Gillett, Oconto County Historical Society and was a paid-up life member of Krause-Simpson American Legion Post #300. He was a member of St. John’s Lutheran Church serving on council and various committees of the church. He was a co-chair for the church’s 100th anniversary celebration. Mort and Lorraine were honored as Grand Marshalls for the 2005 Fourth of July parade. He is survived by his wife Lorraine of Appleton; son Michael (Cindy) Gentz of Green Bay and daughter Wendy (Kurt) Redlin of Appleton and Alabama. He also leaves his grandchildren: Monica Fischer of Gillett; Ai (Kyoto) Saito of Florida and Japan; Trisha Snow of Oshkosh; Ori-Anna (Mark) Ramsey of West Bend and Brandon Redlin of Neenah. Mort is further survived by his nieces Judy (Robert) Kroening, Leopolis; Marilyn (Todd) Hanson, Shawano; Sally (Todd) Popp, Appleton as well as numerous other nieces and nephews, great-nieces and great-nephews. He was preceded in death by his sister Leila (Robert) Doran, brother Tony (Tana) Gentz, brother-in-law Maynard (Bernice) Hoefs and beloved grandson Ryan Fischer. Memorial visitation will be Saturday, April 13, 2019 from 9 to 11 AM at ST. JOHN’S LUTHERAN CHURCH (101 W. Main Street, Gillett, WI 54124). A memorial service will follow at 11 AM. Final rest will be in Zion Lutheran Cemetery, Zachow. The family would like to express a special thank you to the ThedaCare Hospice Team of Appleton for all their loving support.